Mystique Satin is a great, full bodied polyester satin. It has a slight gloss that looks stunning in evening and special occasion wear. 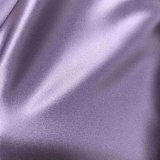 Buy this satin fabric by the yard and save money on your next crafting project. 100% Polyester. 60" Wide. Machine Washable or Dry Clean. Priced Per Yard.